“As a FORS Bronze member, we now pay significantly less than the pump prices we were previously charged. We no longer have to pay a transaction fee every time that a driver refuels. If we ever need anything, I always call Rachel Pearson and get fast, friendly help. Talking to the same person every time is so much better than joining a call centre queue to talk to a random stranger.” Jane Dodd, Barwit Accounts Director If you are a FORS company (Fleet Operators Recognition Scheme), or if you are working towards accreditation, your business is entitled to some exclusive fuel cost saving offers from Fuel Card Services. 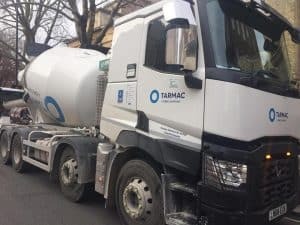 Fortuna Haulage ltd was established in 2013 by Mengsteab Fortuna, the company is a contract haulier for Tarmac delivering pre-mix cement, in the London area. Since joining FORS Director Mengsteab Fortuna has continually implemented new procedures to improve the business for the future. We were introduced to FORS when tendering for work across London. When we looked at the requirements and benefits of joining the scheme we saw that they fitted in perfectly with our company of improving safety whilst complementing our drive to improve fuel efficiency and reduce our environmental impact. After becoming Bronze and seeing the benefits FORS made available to me, especially the e-learning and fuel management, the company decided to move forward and apply for Silver. The company was awarded the Silver accreditation after this the Gold accreditation was the next achievement. The e-learning modules are a constant form of training along with the toolbox talks on the FORS website improving knowledge of myself and the company drivers. 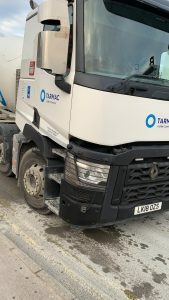 The main reason for progression was that I wanted to demonstrate to Tarmac and their customers that the company was capable of meeting the challenges ahead. It is important that we continue to improve the operations of the business and by doing this we are in a better position to benefit from more contracts and continued expansion in the future. All our drivers complete a Medical Declaration on an annual basis, employees always inform the company immediately of any medical issues. 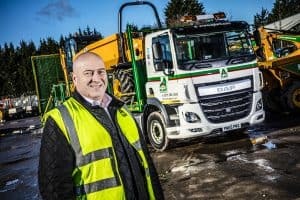 If we recruit it is usually by word of mouth and recommendations, as a sub contract haulier with Tarmac, all new drivers must complete the buddy scheme, where they are placed with an experienced driver to make sure they are actively trained in all aspects of works for ready mix concrete deliveries, before taking a vehicle out on their own. We try to reduce any noise pollution our vehicles may make, we always make sure vehicles are switched off if standing in traffic, try to keep all noise to a minimum when loading and unloading. FORS has enabled the company to run more efficiently and aid drivers to improve their skills. Going forward for the future Fortuna haulage ltd would use the advances in technology with truck and aids to help drivers in their daily tasks. Becoming FORS Gold accredited will enable the business to achieve and maintain high standards for drivers and vehicles. FORS standard has enabled the business to work more efficiently and improved the driver’s skills in their day-to-day tasks. Fuel Card Services, one of the largest independent providers of fuels cards in the UK, has been selected to become an FORS Affinity Partner – the Fleet Operator Recognition Scheme (FORS). Working in collaboration with FORS, we have created FORS Fuel Expert, offering discounts and benefits to FORS members. FORS Fuel Expert also includes FORS Reporting, a substantial package of reports including fuel consumption with MPG reports. These can be downloaded to Excel or can be exported to FORS Fleet Management System (FORS FMS), which is powered by Fleetcheck who are another FORS Affinity Partner. The package also includes C02 certificates providing information on greenhouse gases produced by the company vehicles – essential as evidence during the audit process. Visit www.forsfuel.expert or call 03330 607 887. 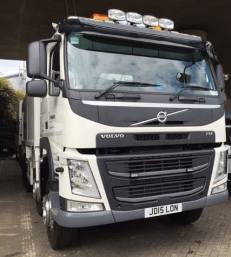 J Dhillon Transport LTD – Going for FORS Gold! Established in 2015, the management of the company has significantly improved since joining the FORS scheme. These improvements are evident in J Dhillon Transport Ltd.’s KMPL figures and emission output levels. Managing director of J Dhillon Transport Ltd, Jagdeep Dhillon, explains how FORS has been beneficial to their company. We first came across FORS when tendering for work in London. When we first heard about how the FORS scheme could benefit a business like ours, we decided to conduct a more in depth search into the scheme. During our search, we saw the range of toolkits and guides FORS has to offer that are specifically designed to help improve on a vehicles fuel efficiency and emission output. Having used the FORS scheme for a few years now, we can confidently say that the scheme has helped us make a significant improvement in our overall KMPL and emission output. When working towards all three bronze, silver and gold audits, we were able to successfully pass each audit the first time round. As FORS provided us with all the necessary tools and straight forward guidelines, each accreditation was made easily achievable. Once the new and improved procedures and practices were implemented during each audit, we were encouraged to maintain them after seeing how beneficial the changes were to our fleet. Once we became a gold accredited company for a second time, we continued to utilise the e-learning resources as that is where we felt our drivers’ professional development excelled. Not only did our drivers benefit from these e-learning resources, but a noticeable improvement was seen in our management systems after implementing e-learning modules such as LoCity for Managers and Smart Driving into our transport managers’ schedule. Another resource from FORS that we continued to take advantage of was the Performance Management System tool. As this tool provided us with a place to collate all of our fleets fuel information, we were able to pin point problem areas, and we were able to see where we were making progress. With this tool it was also easy to keep track of fuel costs. At J Dhillon Transport Ltd, we want to remain a FORS gold accredited haulage company because it shows the public and our clients that we are carrying out our operations at a high and consistent standard. Furthermore, remaining gold accredited would reassure our drivers that their effort of working at a more than efficient level is being acknowledged and rewarded. In the ­­­­­last six months, we have increased our KMPL by 22.50% thanks to FORS. At J Dhillon Transport Ltd, we ask that our drivers keep us up to date with their state of health and whether there have been any changes. If any health issues occur, we will refer them to a GP for further consultation. Moreover, prior to employment, we ask that drivers complete a health form to prove that they are fit to work. After employment we also ask drivers to have their eyesight checked every six months. When recruiting at J Dhillon Transport Ltd, we offer a two week buddy plan to newcomers of the industry. This two week buddy plan provides new drivers with no previous HGV/tipper driver experience an opportunity to join the industry in a safe and supervised environment. At J Dhillon Transport Ltd, in order to reduce our fleets’ noise pollution levels, we have implemented the FORS anti-idling method into our driver training. This method helps reduce the noise pollution produced by our vehicles, along with reducing our fuel usage levels. Moreover, we have also utilised the FORS Quiet Equipment guide to ensure that we have suitable noise reducing equipment installed into all of our vehicles. At J Dhillon Transport Ltd, we pick up and deliver our materials using automatic, diesel tipper vehicles that have a euro 6 engine. Currently, there are no alternative methods of transporting our materials. However, we will continue our search on alternative methods of transport, particularly paying attention to the electronically powered vehicle industry as many developments have been made in the past few years. At J Dhillon Transport Ltd, we aim to further improve on our drivers and managers professional development by keeping up to date with FORS e-learning modules. Furthermore, we plan to continue implementing regular modules and courses into our drivers and managers training. Moreover, we will continue looking for ways in which we can implement a more environmentally friendly method of transport for our materials. To conclude, at J Dhillon Transport Ltd, we believe that remaining FORS gold accredited will show our contractor, clients and the general public that we are carrying out our business operations at an outstanding level. Moreover, FORS has been the key factor to our gradual yet significant progression as a freight business, and we wish to continue working and improving with them in the future! A-Plant forms part of FTSE 100 company Ashtead Group plc and is the UK’s leading equipment rental company with over 190 service centres nationwide, more than 3,600 employees and over 35,000 customers in the construction, industrial, infrastructure and events sectors. The company has an extensive range of equipment available to hire, including Plant, Tools, Formwork and Falsework, Survey Equipment, Power Generation, Traffic Management, Site Accommodation, Access Equipment, Pipeline Jointing Equipment, Rail Equipment, Lifting & Materials Handling, Trakway systems, Climate Control and much more. Shaun Winstanley is the Director of Transport Services and is responsible for the compliance across the UK for A-Plant and all of its divisions, as well as being a FORS Practitioner. As a business we have standardised policies and procedures but FORS has reinforced the requirement to be consistent across the UK to ensure re-accreditation through the auditing process, which has improved year-on-year. 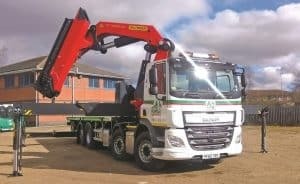 A-Plant became a FORS member in 2009 during the early stages of the scheme, because we recognised that the scheme had the potential to become the recognised standard throughout the UK. Today, we are a Whole Fleet Accredited (WFA) company right across the UK, and we are indeed seeing more and more customers stipulating FORS accreditation in their tender documentation. We passed our initial Bronze audit first time and have been re-accredited ever since. We later advanced to Silver, and then onto Gold. 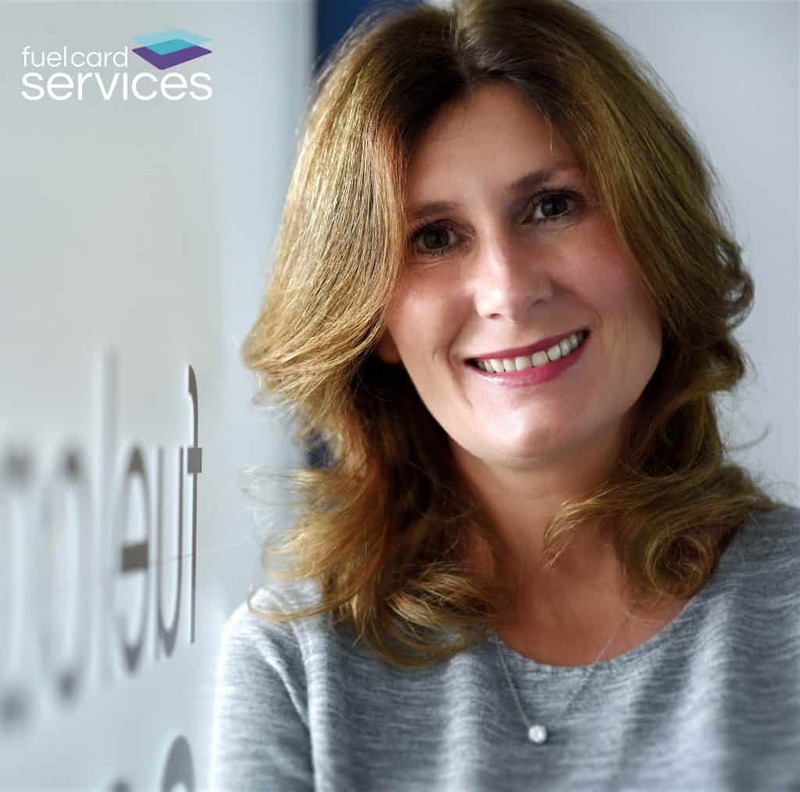 As you would expect with a FTSE 100 company we have a comprehensive auditing process across the business, and as such achieving the Bronze requirement was relatively straightforward. Moving to Silver was more challenging, having to complete Safe Urban Driving and E Learning modules with a large number of staff spread among multiple locations right across the UK. As a sign of our commitment to the FORS scheme, we employed a dedicated person to monitor and report on vehicle telematics in September and more recently we have appointed a further member of staff whose main responsibility is to ensure all the training requirements are monitored/booked and updated to ensure compliance to the FORS Standard. The benefits of FORS scheme participation have been clearly evident, particularly in the area of driver training to improve awareness of vulnerable road users. As an internal champion of the scheme, Shaun Winstanley has completed the FORS Practitioner course and a further four members of the Transport Services team have also completed the course. Ultimately this gives us a greater number of FORS advocates in the company which will help promote awareness of the requirement and the benefits that compliance brings. For example, FORS has made us focus more in particular areas which ultimately improve the day-to-day running of our transport fleet, like reducing incidents and collisions as well as monitoring fuel consumption via telematics, amongst others. In the future will be adding new operating centres across the business as well as reviewing alternative fuelled vehicles/ low entry / high visibility vehicles as this will evolve into our purchasing strategy to meet future legislation. Being Gold Accredited demonstrates our commitment to continuous improvement, safety, the environment and driver training.